If you were especially upset then I’m sorry it’s been a while since I posted – I discovered Game of Thrones. In a later post I’ll chart the effect of Game of Thrones on overall productivity. I think there’ll be some unsurprising results. Anyway, I spend a reasonable amount of time on the train with my (oft abused) laptop each morning/evening; I don’t have the internet and I don’t have any textbooks so it’s basically a question of what I can work on given only the documentation on my computer and whatever I can remember about programming/maths/stuff. Brilliant – was it worth it? Probably not. But there you have it – with that set up we can now start the Monte Carlo bit. We’ll throw darts at that picture randomly; you’d expect the number of darts in the circle to be proportional to the area of the circle and the number of darts in the square to be proportional to the area of the square. Using that fact and the formulae for the areas of a circle and a square you can estimate Pi using the ratio of darts in the circle and in the square. 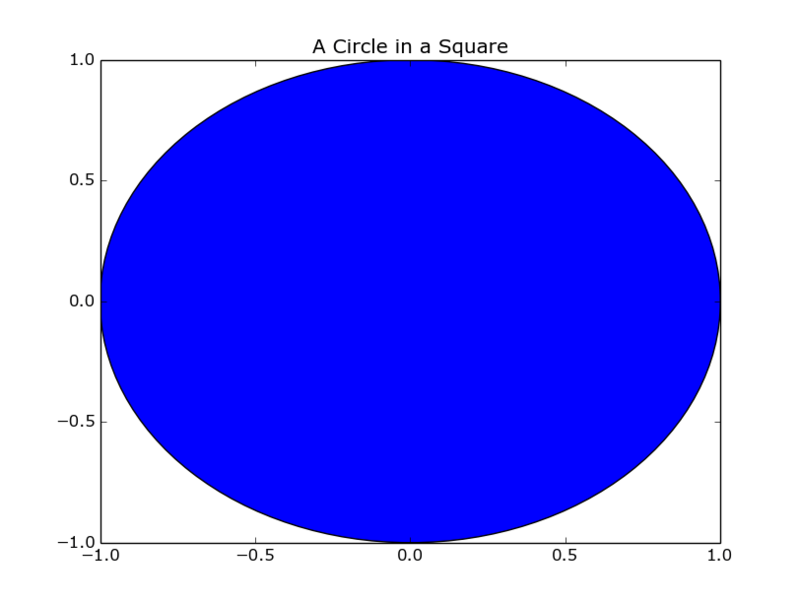 If we randomly generate points in that square we'd expect the ratio of points in the square/points in the circle to equal the area of the square divided by the circle. I can only apologise for any dodgy code in there – in my defence, it was early in the morning. As you can see, it only takes around 100 ‘darts thrown at the board’ to start to see a reasonable value for Pi. 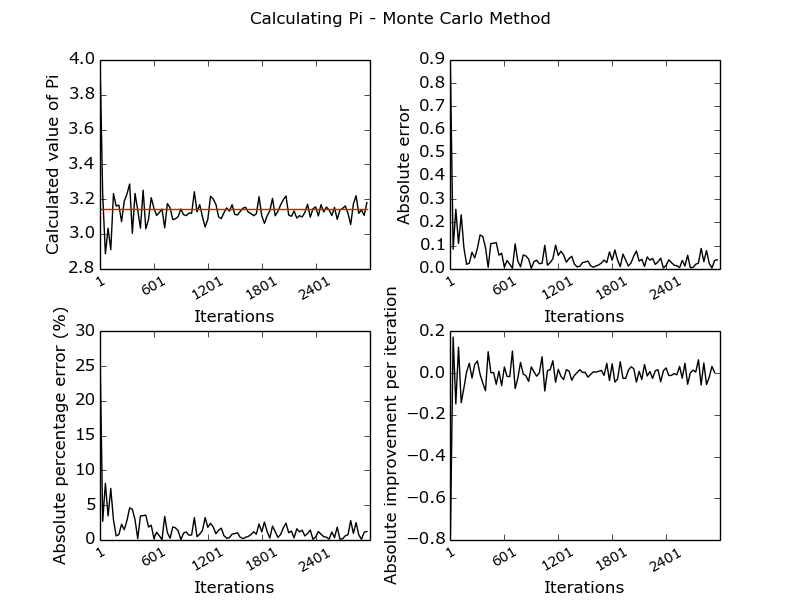 I ran it up to about 10,000 iterations without hitting any significant calculation time. The fourth graph doesn’t really show anything interesting – I just couldn’t think of anything to put there. That’ll do for now – I built something that’ll stream tweets on the Scottish Independence Referendum but don’t know what to do with it yet; there’ll likely be some sort of blog post. There’s a chance I’ll do some sentiment analysis but I’m not sure yet.